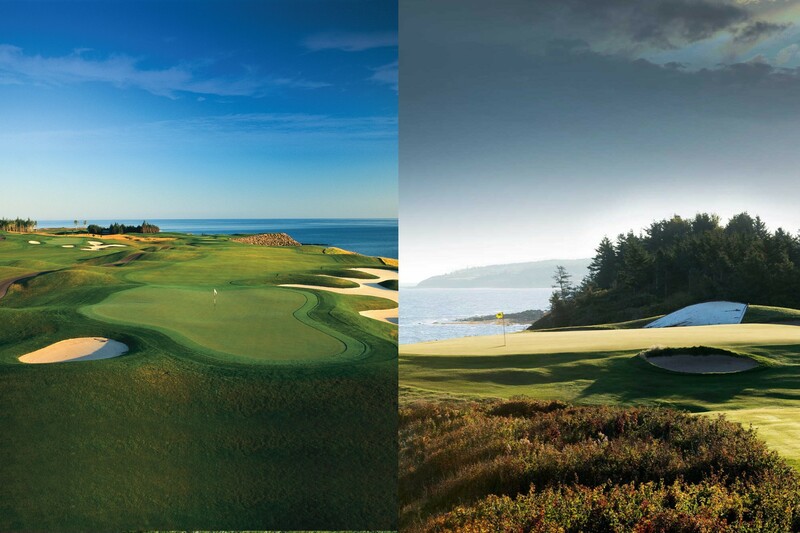 Two day golf tournament at two spectacular oceanside courses. This golf season, head up to the Northumberland Shore, only 90-minutes from Halifax or Moncton for a sell-out Nova Scotia golf event weekend – the North Shore Open golf tournament at Fox Harb’r Resort’ championship golf course and neighbouring Northumberland Links golf club. There’s only one thing better than the North Shore Open golf tournament’s unmatched combination of two must-play oceanside golf courses, good friends, great food and friendly competition. Don’t miss our incredible Northumberland Strait views! The tournament format is two per person best ball, Handicap Ladies & Men’s Division based on total number of teams. Weekend package with resort stay is open to the public. Golf tournament only option exclusive to Northumberland Links and Fox Harb’r Resort golf members and their guests. Call 1-866-257-1801 to book golf tournament only. Great getaways begin at Fox Harb’r and your perfect vacation is just a click away. Click here to book your Fox Harb’r Resort package or call Resort Reservations at 1.866.257.1801 . *Offer is subject to availability. Not valid in conjunction with other offers. Not applicable to groups.